This is the 40th all-time meeting between these schools, with the last coming in 2013 when Navy won 24-21 (+5). The Middies are 3-8-1 SU, but 7-5 ATS since 1979. This bowl was previously named the Eagle Bank Bowl and Navy played in the inaugural edition in 2008, losing to Wake Forest, 29-19 (+3). This is their fourth straight bowl appearance and head coach Ken Niumatalolo is 3-4 SU/4-3 ATS in bowls. Pitt is bowling for the eighth straight year (first here). They’ve gone 3-4 SU/ATS in that span and this is head coach Pat Narduzzi’s first bowl game. Despite a new head coach, Pitt had plenty of talent and returned 15 starters, including all their top playmakers on offense. The main concern was the defense, but with Narduzzi being excellent on that side of the ball, the Panthers held four of their foes to either their lowest or second lowest yards mark and are No. 21 in the FBS, holding their opponents to 69 yards per game less then their average. Things were bleak early as second team All-American running back James Conner was out for the year (knee) in the opener, but redshirt freshman Qadree Ollison filled the void with 207 yards in the opener and had three additional games of 100+ rushing yards. Tennessee transfer quarterback Nate Peterman beat out Chad Voytik early. The best player on offense is clearly wide receiver Tyler Boyd, who’s numbers are down because of constant double and triple teams. They started the season 6-1, but ended 2-3 as the schedule toughened up. Navy was an Independent for 124 years and had a chance to play for the American Athletic Conference Title in their first season as a conference member. Despite only returning 10 starters, they had quarterback Keenan Reynolds, who set the career rushing touchdown record. The Middies lone loss entering the conference season finale was at Notre Dame, but with a trip to the conference championship on the line, they were outclassed by Houston. 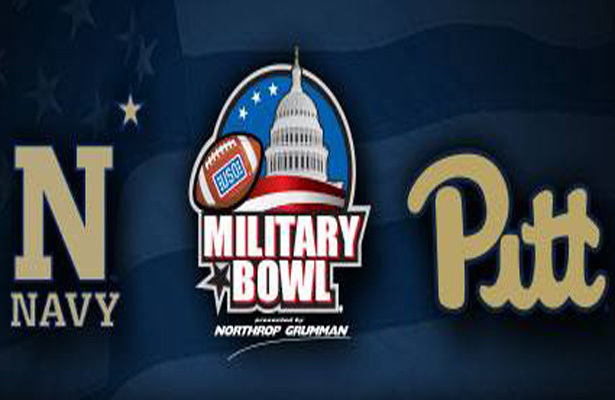 Navy enters with two losses, but those were to teams that have a combined three losses, while Pitt’s losses all came to bowl teams in Notre Dame, North Carolina, and Iowa. When Pitt played another triple option team in Georgia Tech earlier this season, they gave up 376 rushing yards, but still won and got experience against that type of system and now have three weeks to prepare for this game. Navy should come in sharper as they played Army just over two weeks ago and with this game being in Annapolis, it’s Reynolds final home game.